The new EU Web Accessibility Directive and what you need to know! There’s a new EU directive that’ll be shaking up our websites, as digital inclusion becomes a recognised right, not just a privilege. So, what’s going on and what should we be doing? We have all experienced the shake-up from the recent GDPR EU directive, but another significant and much-needed directive is also due to come into effect. This directive finally recognises that digital accessibility is a right for disabled people and that public bodies have a responsibility to provide accessible websites and website content. This means that, barring a few exceptions, public bodies will have to meet new guidelines on accessibility – from the NHS to your local council. Our universities and colleges have been moving more and more functions to online platforms, from course content to administrative processes. The virtual learning environments they use are shaping our lives in education; we’ve seen long-distance learners access education opportunities they otherwise wouldn’t have had. However, the rapid expansion of virtual learning environments with little progress in digital inclusion has left accessibility as a “bolt on” afterthought. Our institutions now rely on digital platforms for almost everything, from the very start when you apply to study right up until the end when you receive your results. We now have to use these platforms to access course material, extra reading, past papers, module tests, feedback, assignment submission, and extensions to name just a few. So why is it important for us, as students and student leaders to know about this new EU directive? Well our universities and colleges will come under this new legislation, so come September when the UK is duty bound to bring the EU Web Accessibility Directive into law, there will be a shakeup of our institutions digital platforms, giving us a vital opportunity to shape how our universities and colleges meet the new guidelines and ensure we get progress, not placation. 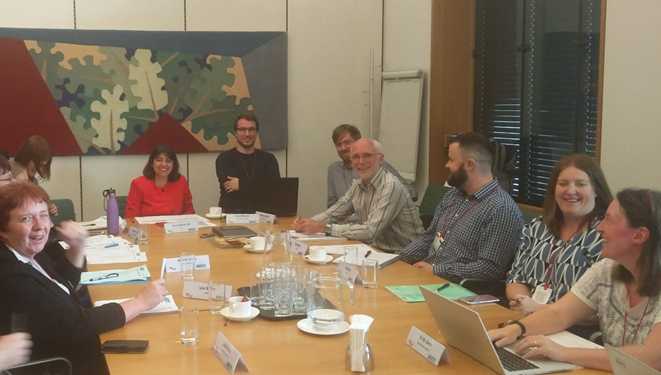 Policy Connect, with sponsorship from Blackboard Ally, called together experts and representatives for a meeting of the All Party Parliamentary Group (APPG) for Assistive Technology (AT), or APPGAT for short. The conversation was led by Seema Malhotra MP, who chairs the APPGAT and had just that day published an article calling for the government to do more on digital accessibility. The headline for the meeting was “Digital Accessibility in Education”, where we were predominantly looking at Virtual Learning Environments (VLEs). APPGAT attendees ranged from university lecturers to software providers and charities such as the RNIB – with Access Consultant and NUS Disabled Students’ Campaign’s 2nd Place, Piers Wilkinson, attending to represent disabled students and be a voice for our concerns and previous experiences of accessing VLEs. From the variety of voices squeezed into the small meeting room in Portcullis House, it quickly became clear there was an undisputed consensus that disabled students across the UK have been facing systemic barriers to education and digital inclusion. Nicolaas Matthijs, from Blackboard Ally, provided data that showed in the last five years, the overall average accessibility score for content on VLEs has only increased by 3.1% from 27.5% to 30.6%, with Blackboard remarking that “progress has been slow, and the average accessibility score is still very low”. 1) What is the place of VLEs in the regulations? 2) What can the Government do to promote compliance? 3) How can the education sector respond positively? With 20-30 minutes for each question, it was a trial to fit in all the concerns we had, however, the frequently raised issues were: the lack of current digital accessibility, the rights of disabled people and the prominence and content of an accessibility statement. Furthermore, it was readily apparent that we will need an ombudsman to review and enforce the new legislation; as the current system of leaving enforcement of accessibility to disabled people has been a significant factor in the lack of progress nationally. NUS Disabled Students’ Campaign is collecting disabled students’ evidence and experiences which the APPGAT will use to inform a report we are preparing on the directive, that will come out later in the summer. Have you faced issues with digital inclusions whilst studying? Or have you tried to improve your institution's digital accessibility? 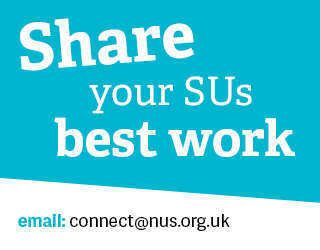 Please get in touch with Piers on piers.wilkinson@nus-wales.org.uk by 2nd July to share your experiences. What can we do in the coming months? Get in touch with your student leaders (use this piece as an icebreaker! ), start a conversation with your institution and get talking with lecturers, bring disabled students to the forefront of your priority campaigns for the coming year. Additionally, join us in asking our MPs to support calling for a debate in the House of Commons on digital accessibility – whether it’s sending them a tweet, email or giving their office a ring. Finally, this directive has a timeline spanning the next three years and alone it doesn’t guarantee change. Digital accessibility has been forgotten about for too long and this needs to change. We need to bring web access to the forefront of the disability conversation. This fight hasn’t appeared out of nowhere, disabled people have been fighting for access for decades, let’s use this opportunity to get the change we need and to do this, we need you to support disabled voices.